As part of his collaborative work on abolitionist thought and praxis, Justin Piché (Associate Professor, Criminology, uOttawa) has co-authored two new papers. 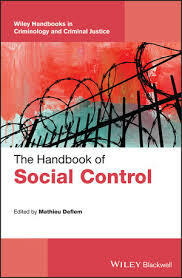 The first paper, a book chapter written with Nicolas Carrier (Associate Professor, Criminology and Criminal Justice, Carleton) and Kevin Walby (Associate Professor, Criminal Justice, uWinnipeg) entitled “Abolitionism and Decarceration” published in The Handbook of Social Control edited by Mathieu Deflem (Professor, Sociology, University of South Carolina), critically interrogates decarceration when employed as a liberal reform measure versus a radical abolitionist tactic. 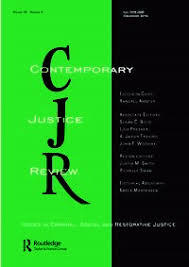 The second paper, an article written with Vicki Chartrand (Associate Professor, Sociology, Bishop’s / Adjunct Professor, Criminology, uOttawa) entitled “Abolition and Pedagogy: Reflections on Teaching a Course on Alternatives to Punishment, State Repression and Social Control” published in Volume 22(1) of Contemporary Justice Review, examines how students engaged with critiques of, and alternatives to, carceral power taught in past sections of CRM 4302: Abolitionism and the Criminal Justice System, a mandatory requirement of our undergraduate program.